A few weeks ago, VMware snuck the vSphere Client for the iPad quietly into the Apple App Store. I decided to download it and give it a spin to see how viable a management option is was. I went through the steps for install and gave it a shot performing basic day-to-day management task that admins may have to perform. Here is what I experienced. The app itself is easy to find in the App Store and is easy to download. However, it’s not as simple as downloading and pointing it to your vCenter server. To be able to access your vCenter server, you need to install and configure the vCenter Mobile Access on your server. This is where my first gripe comes in. The vCenter Mobile Access is an ‘as-is’ technology that is still in technical preview, which means it has no official support outside of the technical community. Installation of the vCenter Mobile Access piece is fairly straight forward as it comes in an OVF virtual appliance package. Deployment of an OVF is fairly simple, just follow through the prompts, name and point it to a location where you want the new VM to live. Once the deployment is complete, the VM will get a DHCP address if available. I configured a static address as I view this as best practice. Once you have the IP Address for the vCenter Mobile Access system setup, you can browse to its management have via http://IPADDRESS:5480. Here you can configure passwords and also make your IP changes if you prefer. The default password is passwd and I strongly suggest changing it. 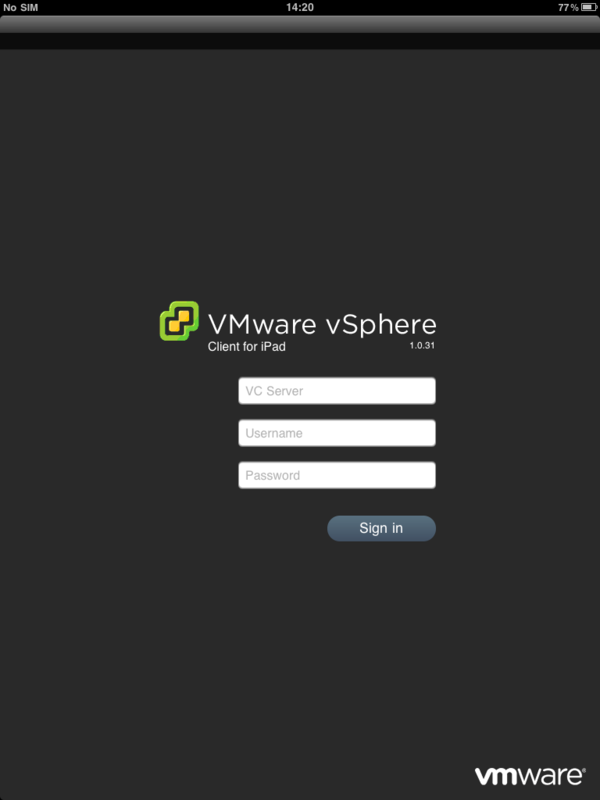 Next you will need to configure your iPad vSphere client. Return to the home screen and select Settings. From there, scroll down and select the vSphere Client from the left. 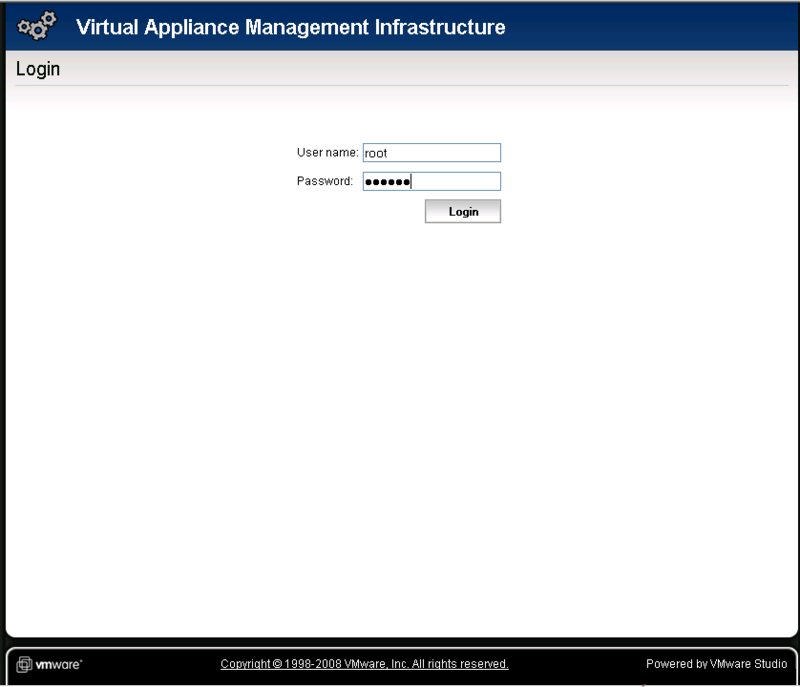 On the right, you will need to enter the IP Address of your newly deployed vCenter Mobile Access virtual appliance. Once you launch the client, enter your vCenter server hostname or IP, as well as your login credentials, much like your standard vSphere client. From there you will see a listing of your host, as well as some basic details, such has total host and total VMs, as well as a listing of each host and the number of VMs on that host. You can select hosts or VMs to get more detailed information. Once thing I did like was the data displayed about VMs, allowing you to quickly see if snapshots are in use on a VM and the status of the VMware Tools, all in one spot. Inside the app you can perform basic task such as rebooting host and placing them in maintenance mode, among other things. You can also perform pings and trace routes on selected machines, as well as examine their performance data. 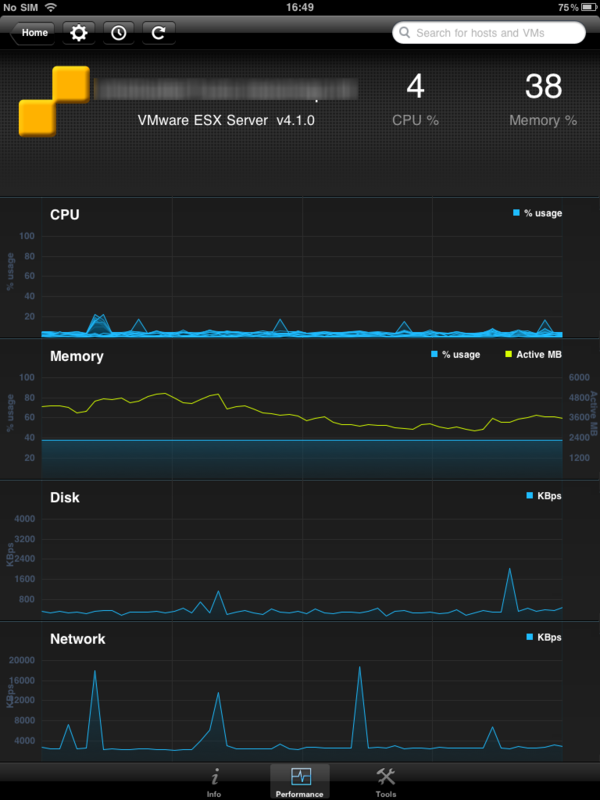 While the vSphere Client for iPad is definitely a slick little device that looks really pretty, its uses are limited. I do think eventually it could be a pretty good standalone management tool, but for now I view it more as a monitoring tool for your vSphere environment. The fact that connectivity relies on a Virtual Appliance that is in a “technical preview” state also doesn’t help its case. I would have much rather seen VMware release a vSphere client for OSX or Linux with the same functionality as the Windows counter part, rather than rush to be the first to have a management app on the iPad. The View Client for iPad was second on the scene to Citrix Receiver but its a very well put together app that’s full of functionality and thought, where as the vSphere client feels rushed and a little lacking. I would definitely recommend give it a try if you have the time and availability in your environment. I hope VMware continues to develop this and it gets to the level of functionality that its Windows counterpart has. Visit your Apple App Store on your iPad or iPad 2 to download the app. The vCenter Mobile Access virtual appliance can be found HERE. One of the more popular articles on my blog are those pertaining to Citrix Receiver and the iPad. I am also currently involved in engineering and implementation of a “virtual desktop” pilot. So needless to say I am spending a lot of time researching and reading up on thin client and mobile computing. Quick fact to start things off: In 2010 its expected that 13% of all corporate computer deployments will be thin clients. I’d also expect mobile computing to show a strong growing trend moving forward, but I was unable to find any hard numbers. So it’s becoming apparent that this isn’t just some niche technology, but in fact something we can all expect to see in the near future, if you haven’t seen it already. With companies like VMware, Citrix and Wyse introducing mobile applications to allow access to application and desktops that are centrally stored, this is certainly something that will catch on. I am an avid user of my iPad for business use thanks to Citrix Receiver. Sure, there are use cases where a PC/Laptop will trump the iPad for usability, but I’d certainly say that a majority of corporate users can get away with 90% of their work on a mobile device. For cases where a mobile device won’t suffice, thin clients are certainly an alternative. I think a majority of people know the upsides of virtual desktops and accessing virtualized applications on thin clients. The upside of being able to move from device to device and maintain the same computing space is a major plus in itself, aside from the cost savings, reduced hardware failure and reduction in support required. And there are for more benefits to this approach. Certainly, with these two technology approaches being in their infancy, there will be arguments against them, and task that they may not be able to do as well as existing computing, or even do at all. This should be expected, as with any new technology, problems will arise and a solution will be implemented with the technology. But I certainly think that virtual desktops, application virtualization, thin clients and mobile computing are going to be a solid entry in the stable of technologies deployed in corporate and enterprise environments. So what are your thoughts on the legitimacy of Mobile and Thin Computing?